At Lowther we love Sport and PE. We have lots of sporting activities available to keep us fit and healthy. Here's a snapshot of some of our recent sporting events. In the borough cross country the Boys came 9th out of 30 schools, the Girls came overall 7th out of 29 schools, which we believe may be our best team result ever! Our boys football team is undefeated this season (with a goal difference of +14). We also have a brand new girls football team this year. Our Y5/6 basketball team are Richmond champions and Y3/4 team came 5th. 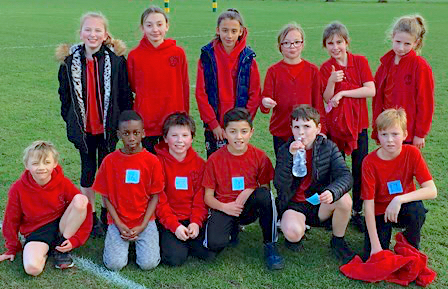 We've also had a number of sports friendlies to ensure that more and more of our children are getting the opportunity to represent their school. Well done children - truly awesome stuff! Our best ever Borough swimming gala results! The boys came 2nd overall (winning the huge shield) and we also had two individual 2nd places and a third. Incredible! Unbelievable! There'll be a new trophy on the desk on Monday as our Y6 football team won the @StPaulsSchool football tournament! Wow! Look who came top of the boys football league! What a year of sporting success at Lowther it's proving to be! Well done Team Lowther! Massive well done to our Netball squad. In their first ever season of playing they've won the local league thanks to a nail biting 9-5 victory vs Mary Mags in their final game! Awesome skills! 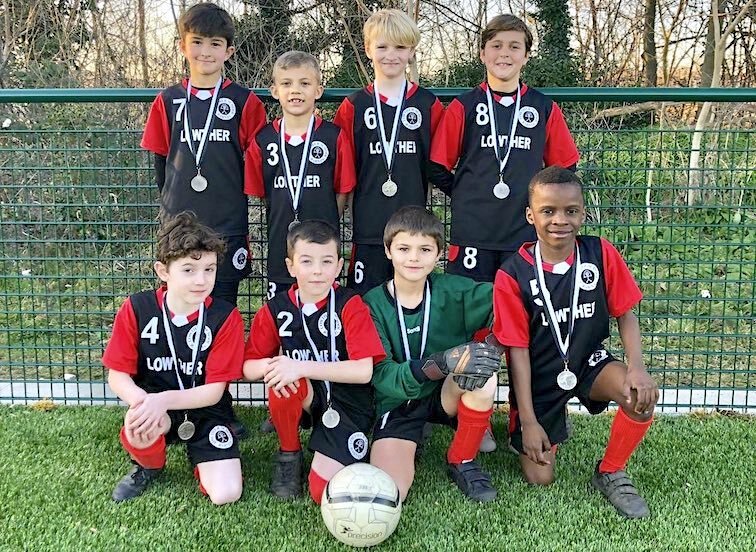 Wow!More sporting success as our junior football team (Year3/4/5) came runners up in the Year 5 @StPaulsSchool tournament. Impressive work! We recently took two excellent squads to the Knights tournament and won the Champions Trophy! We have so many children playing basketball at Lowther at such a good level. The whole squad performed brilliantly. 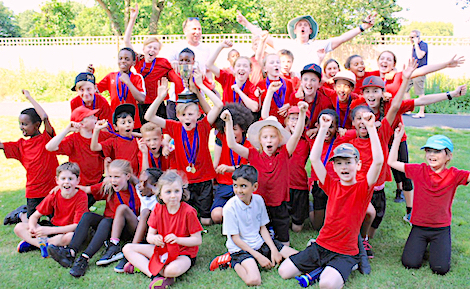 A huge well done to the 16 children from Y3 and Y4 who represented the school in the annual Locality Sports Day this week. 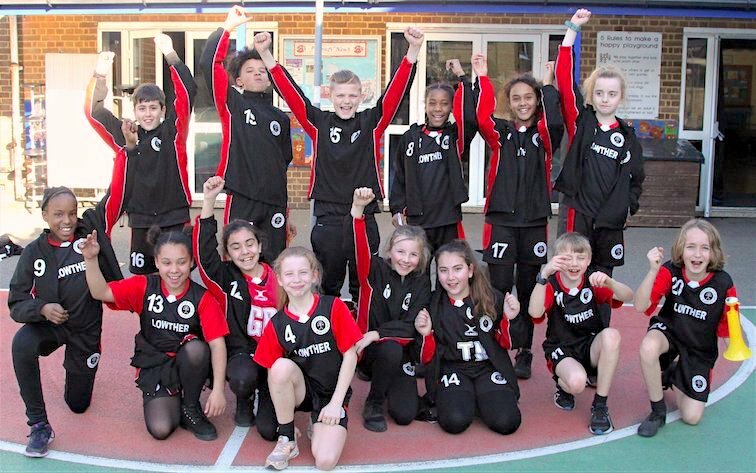 The 10 local schools get together to give the children the chance to compete against each other in athletics. We performed really well against some tough competition, coming a very impressive 2nd overall, winning numerous races. Well done children! The pictures below hopefully show you just how well they did! 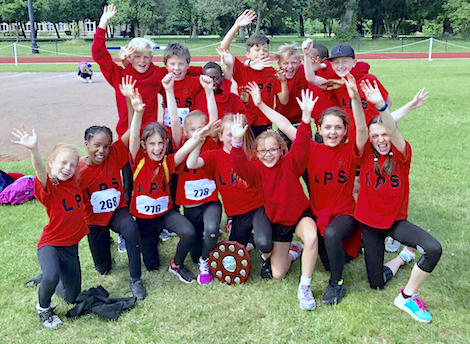 Team Lowther smashes the local athletics tournament with an incredible win! More success! We've also won the fastest overall team shield at the borough sports (featuring all 40 Richmond primaries) WOW! Mr Pritchard took a team of Y5/6 runners to the borough cross country tournament. The daily mile is definitely paying off as the girls came equal 2nd and the boys team came 3rd. Super work runners! The top 6 children from each teams placing is added up to decide on the teams overall position. The results speak for themselves. Brilliant! 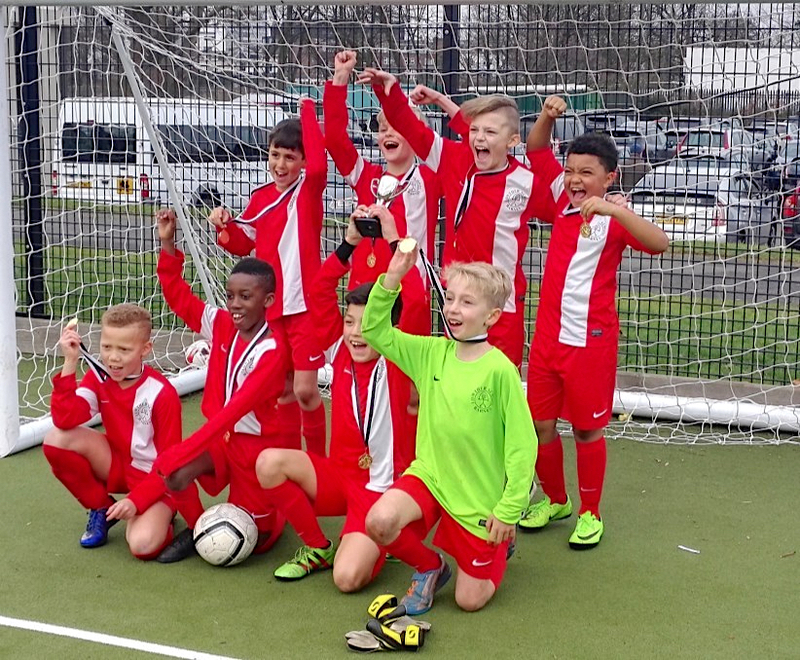 Well done to the combined Y4 and Y6 football team that won the recent local schools tournament at St Paul's recently. After beating local schools in the group stages they went on to beat Colet Court 1-0 in the finals. 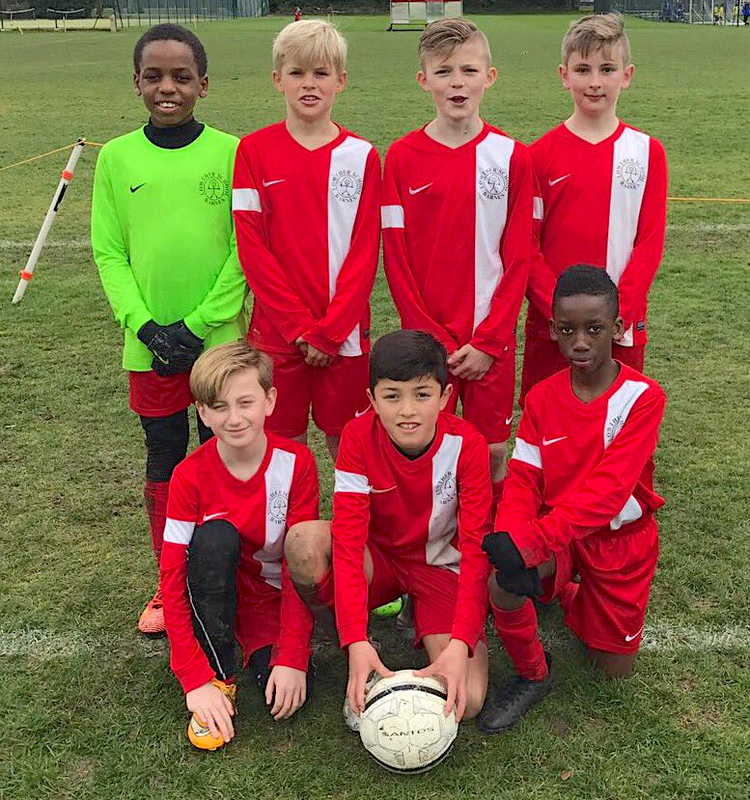 Mr Green also took the combined Y5 and Y6 team to the borough wide tournament, making it as far as the quarters only to lose dramatically on penalties. They finished the tournament with an impressive record of 4 wins, 1 draw and 1 loss (only conceding 1 goal in total). Really super stuff! 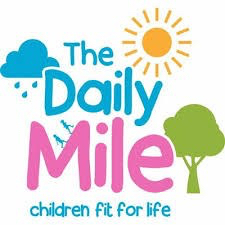 The Daily Mile is up and running at Lowther! FUN! The children have the freedom to run in the fresh air with their friends. They should know it's not a competition - many will mix running and walking. WEATHER! 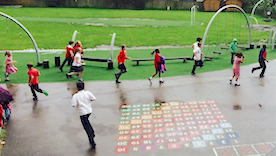 We treat the weather as a benefit not a barrier - children respond to the seasons. Jackets on in the cold and damp: ditch the sweatshirts if it's warm. TRACK! We have a track mapped out, which if the children complete 6 times they will have completed one mile. QUICK! It all takes place in 15 minutes - from leaving the classroom to returning. RISK! We have completed a full risk assessment. JUST GO! There's no need to warm up - straight outside and off they go. CLOTHES! No kit is required. The children go out in their school clothes. OWN IT! They can choose to run, walk or jog - or mix all three. 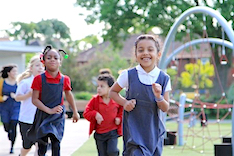 We encourage the children to do some running. Girls Football 2016 from Lowther School on Vimeo. Girls Football penalty shoot out May 2015 from Lowther School on Vimeo. YEAR 5 - RPA SPORTS EVENT from Lowther School on Vimeo. "We've introduced smaller footballs to the playground to enhance the skill level in games at lunch and play time." 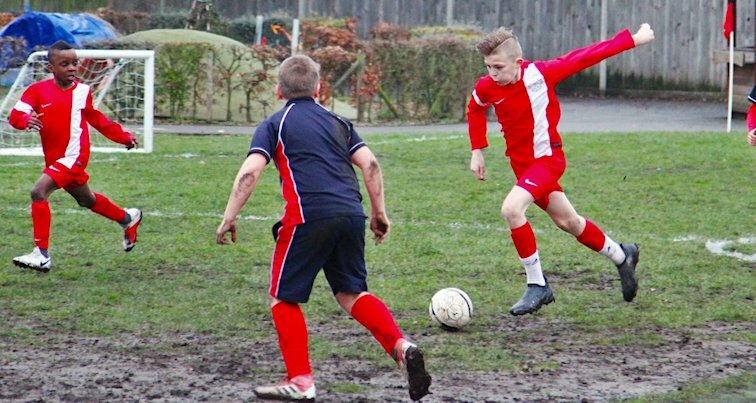 Football tekkers Nov 2014 from Lowther School on Vimeo.